Credit to NASA - Jupiter moon Europa - In this NASA image, potential alien life is represented by technicolor smiley faces. Europa has been the biggest contender for life for years now, with a craggy icy crust hinting in almost every way at an ocean below. 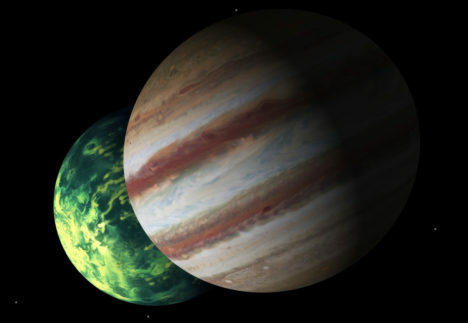 Thanks to the tidal effects from Jupiter (friction inside the moon created by the pull of the planet’s gravity), the water would be kept liquid and possibly even warm below the icy crust, helped by possible hydrothermal vents. 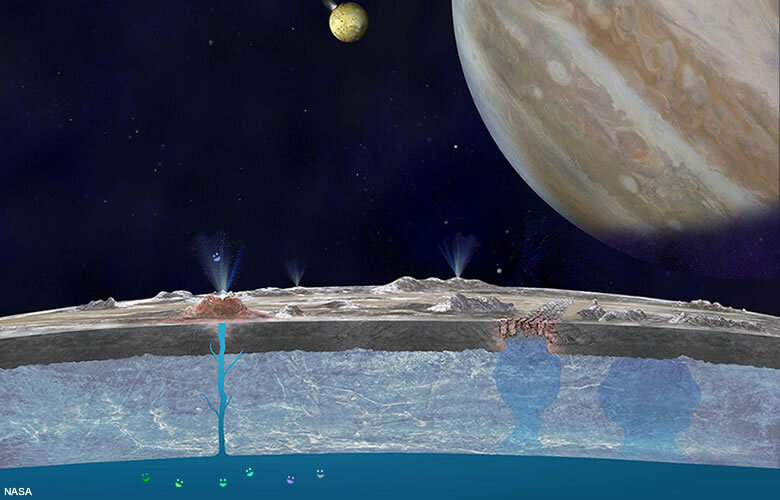 There’s been some evidence of ice geysers shooting from the surface of Europa, as well as evidence that the ocean could have Hadley Cells—warm water radiating from the moon’s equator. Europa could provide the possibility not just for life, but, if the conditions were just right, even complex life. 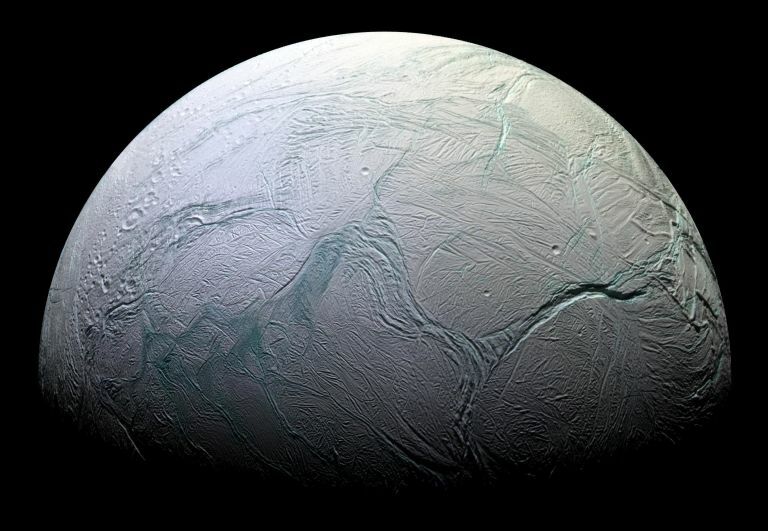 We’ve known of tiny, sleepy Enceladus since 1789. 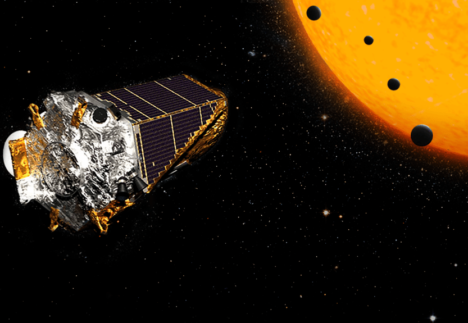 The diameter is just 310 miles, smaller even than Ceres and Vesta, the two largest objects in the asteroid belt. 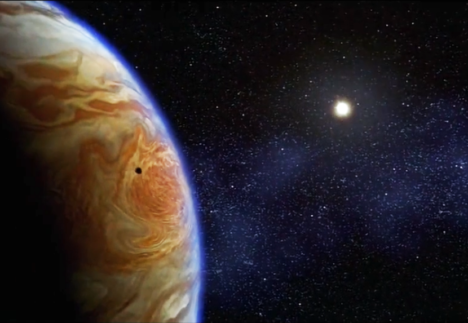 Compare that to Europa, slightly smaller than our Moon at a 1,950 mile diameter. Never mind its small size: This is one of the most intriguing places in the solar system and best candidates for a warm, wet, salty ocean. 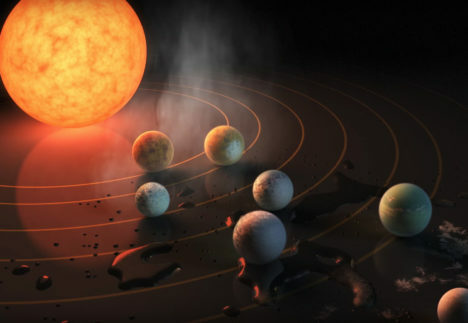 It has as high a probability for life, if not higher, than Europa. Enceladus orbits near the rings of Saturn. In fact, watery eruptions from Enceladus’ ice geysers comprise the F-Ring of the gas giant—the moon spews 1,000 tons of water into space every hour, according to Phil Plait at Bad Astronomy, along with organic molecules, salt, and other materials. Recent research suggests the ocean is also very warm thanks to the tidal effects from Saturn. 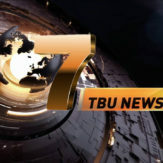 The tug causes hydrothermal activity, which warms the oceans and causes the geysers, all in the kinds of hot beds that sprouted life on Earth. 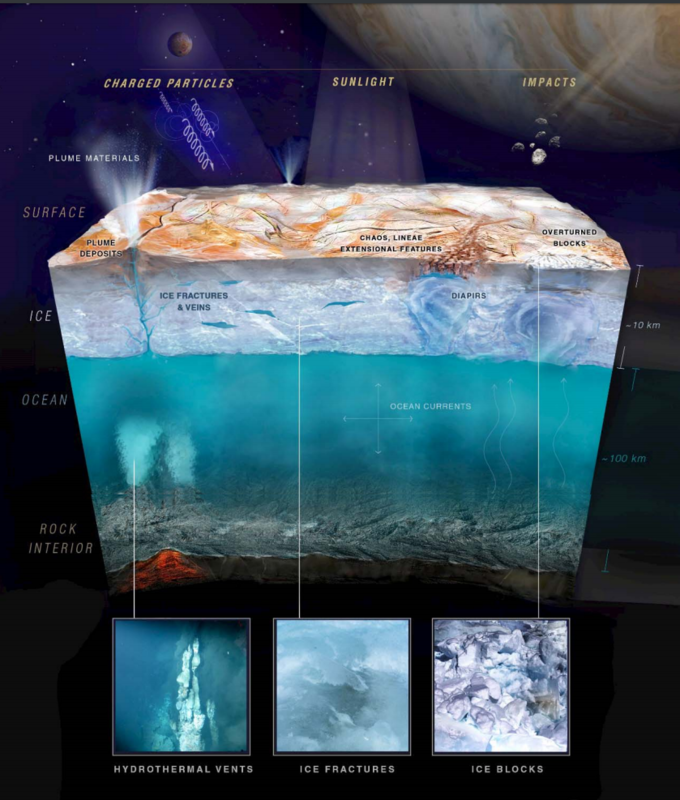 Credit to NASA – A NASA image shows possible ecosystems that could sustain life on Europa. Europa is nearly the size of Earth’s moon. Under an icy crust maybe 10 to 15 miles (15 to 25 kilometers) thick, investigators think Europa possesses an ocean perhaps up to 100 miles (160 km) deep. Since there is life virtually wherever there is water on Earth, researchers have long entertained the notion that Europa could support life. Europa’s icy shell would hide its ocean from view. However, clues about how this underground ocean behaves might be deduced from the moon’s crust, especially areas known as chaos terrains, where the ice has mysteriously warped and broken into jumbled blocks. These strange regions cover up to 40 percent of Europa’s surface, clustered mostly around the Jovian moon’s equator. The origins of chaos terrain are strongly debated, but scientists think the way heat flows in the ocean beneath such terrain is critical to the explanation. To see what behavior from the underground ocean might be giving rise to chaos terrain, planetary geophysicist Krista Soderlund at the University of Texas at Austin and her colleagues devised computer models of how sea currents might circulate.